Christmas is just over, but we’re still feeling like looking for something new to make your house unique. The coming of January coincides with the beginning of the winter sales, that are starting on 5 January in the city shops. And what better time to do a deal? So, we’re taking advantage of this particular period of the year to suggest you the ones that, to us, are the best design shops for your house in Milan. Scandinavian design, Italian style, experimentations from the Rising Sun: whatever is your taste, be inspired by the numerous proposals from the shops in our city. In this selection, you’ll find real furnishing accessories boutiques, that make research their own figure. Who knows that you’ll find the right offer! Cargo&HighTech has been a reference point for design in Milan since 1982. The wide selection of products that offers, ranges from home objects to furniture, to clothing. The common denominator in this case is research. The aim is to value craftsmanship and originality, with the belief that elegance can be born from style and simplicity. A necessary stop for those looking for something new and refined. Cargo&HighTech is in Piazza XXV aprile, a few steps from our Maroncelli Apartment. Design Republic is one of the new-born, but already deserves a place among the best design shops in Milan. It was born in 2015 from an idea of the Mornata family, already well known furniture and design objects retailers, who decided to renovate their historical shop in Corso di porta Ticinese and found the Republic of Design. Design and quality objects lovers will find a wide catalogue with a selection of products that varies from Made in Italy brands to international brands, from design “classics” to cutting-edge products, with different price bands. Design Republic is in Corso di Porta Ticinese 3. Moroni Gomma, in Corso Matteotti, is a necessary stop for those at the discovery of functional, unique and original household objects. Over time, this design emporium has entered into the heart of the Milanese people, who appreciate the project irony of the products. The shop, after an initial specialization in rubber, turned into a concept store that has originality as its mantra. Moroni Gomma proposes a wide portfolio of objects selected with care among diverse international brands, encompassing home accessories, kitchen tools, furniture, outdoor objects. 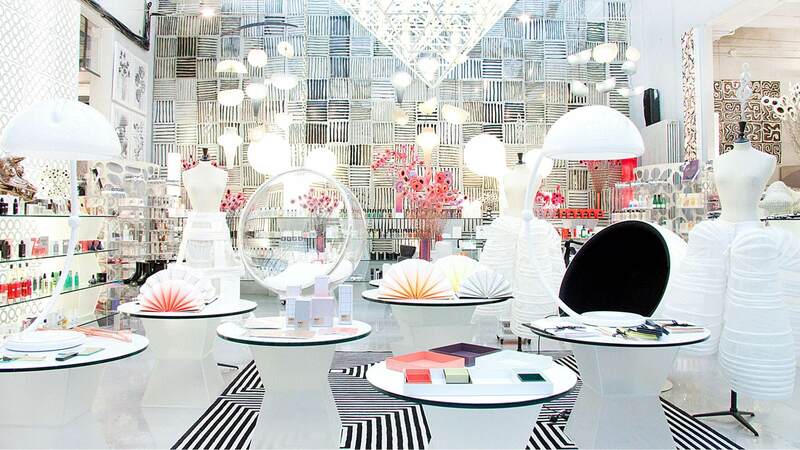 Fashion, design and photography: we’re talking about 10 Corso Como, a lovely concept store located in a typical Milanese house. A cutting-edge corner in Milan connected to Carla Sozzani, manager of numerous fashion magazines, who in 1991 decided to abandon the publishing industry to open a photo gallery. Since then, 10 Corso Como has become a multi-purpose space with an international charm: inside you can find a refined selection of fashion and design products, besides visit temporary photography exhibitions or participate at meetings on specific issues about design and architecture. Inside 10 Corso Como culture and “slow shopping” merge together, turning the space into an actual crown jewel of the city. Now, we can only wish you a nice shopping!